​The world is full of green! We just have to find it. Come along with me and find all the green we can see. 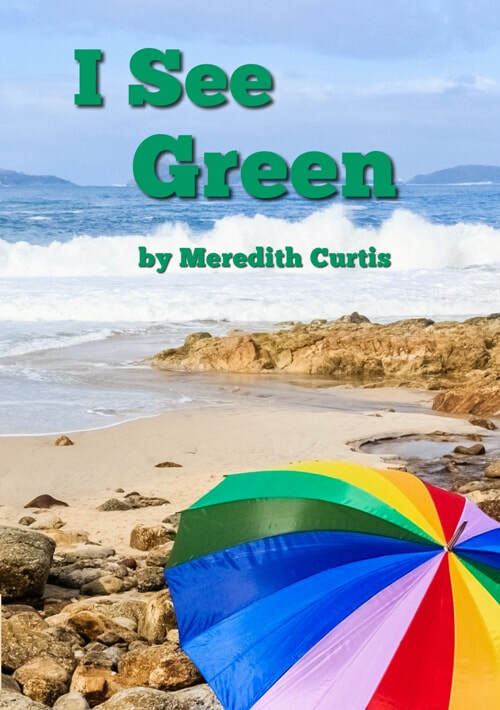 With beautiful photographs and whimsical writing, this simple book introduces children to the color green. Kids love reading this book to discover a green tractor, green paper clips, a green umbrella, a green frog, a green bird, green lettuce, and more! At the end of the book, children pick out green items from other colored items on a page. Cuddle up and explore the world with your favorite preschooler. You'll both be smiling. ​The world is full of yellow! We just have to find it. Come along with me and find all the yellow we can see. With beautiful photographs and whimsical writing, this simple book introduces children to the color yellow. 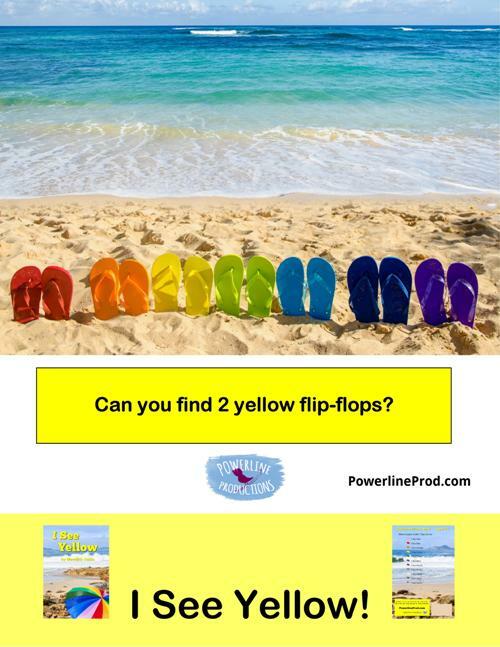 Kids love reading this book to discover a yellow bird, a yellow car, yellow noodles, yellow daffodils, yellow trucks, and more! At the end of the book, they pick out the yellow item from all the other colored items. Cuddle up and explore the world with your favorite preschooler. You'll both be smiling. ​The world is full of purple! We just have to find it. Come along with me and find all the purple we can see. With beautiful photographs and whimsical writing, this simple book introduces children to the color purple. Children love reading this book to discover purple stairs, purple cabbage, a purple balloon, purple flowers, a purple bowl, a purple car, and more! At the end of the book, children pick out purple items from other colored items on a page. Cuddle up and explore the world with your favorite preschooler. You'll both be smiling. ​The world is full of blue! We just have to find it. Come along with me and find all the blue we can see. With beautiful photographs and whimsical writing, this simple book introduces children to the color blue. Kids love reading this book to discover a blue bike, a blue helicopter, blue eyes, a blue frog, a blue butterfly, and more! At the end of the book, children pick out blue items from other colored items on a page. Cuddle up and explore the world with your favorite preschooler. You'll both be smiling. ​The world is full of white! We just have to find it. Come along with me and find all the white we can see. With beautiful photographs and whimsical writing, this simple book introduces children to the color white. Children love reading this book to discover a white puppy, a white horse, a white church, a white sailboat, a white dove, white geese, and more! At the end of the book, children pick out white items from other colored items on a page. Cuddle up and explore the world with your favorite preschooler. You'll both be smiling. ​The world is full of red! We just have to find it. Come along with me and find all the red we can see. With beautiful photographs and whimsical writing, this simple book introduces children to the color red. Children love reading this book to discover a red train, a red cell phone, a red racing car, red apples, red strawberries, a red rose, and more! At the end of the book, children pick out red items from other colored items on a page. Cuddle up and explore the world with your favorite preschooler. You'll both be smiling. The world is full of orange! We just have to find it. Come along with me and find all the orange we can see. With beautiful photographs and whimsical writing, this simple book introduces children to the color orange. Kids love reading this book to discover an orange basketball, an orange flower, orange carrots, an orange boat, an orange pumpkin, and more! At the end of the book, children pick out orange items from other colored items on a page. Cuddle up and explore the world with your favorite preschooler. You'll both be smiling. The world is full of brown! We just have to find it. Come along with me and find all the brown we can see. With beautiful photographs and whimsical writing, this simple book introduces children to the color brown. Children love reading this book to discover a brown donkey, a brown pinecone, a brown log cabin, a brown church, a brown bench, a brown bear, a brown horse, and more! At the end of the book, children pick out brown items from other colored items on a page. Cuddle up and explore the world with your favorite preschooler. You'll both be smiling. ​The world is full of pink! We just have to find it. Come along with me and find all the pink we can see. With beautiful photographs and whimsical writing, this simple book introduces children to the color pink. 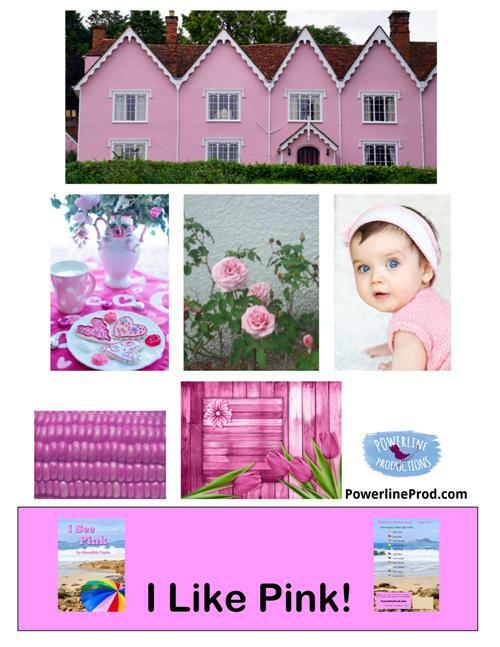 Kids love reading this book to discover a pink car, a pink house, a pink cake, pink towels, pink piggy banks, and more! At the end of the book, children pick out pink items from other colored items on a page. Cuddle up and explore the world with your favorite preschooler. You'll both be smiling. ​The world is full of black! We just have to find it. Come along with me and find all the black we can see. With beautiful photographs and whimsical writing, this simple book introduces children to the color black. Kids love reading this book to discover a black puppy, a black camera, black shoes, a black goat, a black cat, a black Bible, a black car, a black electric guitar, and more! At the end of the book, they find black items on a page. Cuddle up and explore the world with your favorite preschooler. You'll both be smiling.